We Are Professional Major Home Appliance Repair Company with More than 30 Years of Experience in the filed. We do refrigerator repair, washer repair, dryer repair, dishwasher repair, stove and range repair, oven repair, steam oven repair, microwave repair, freezer repair, ice maker repair, barbecue repair, pizza oven repair, patio heater repair and many other appliance repair services. When it comes to excellent skills and knowledge of appliances, you can not find anybody better than us. Our team is factory trained and certified in the majority of brands such as Asko, Bosch, DCS, Electrolux, Fisher & Paykel, Frigidare, GE, LG, Miele, Perlick, Samsung, Siemens, Dacor, KitchenAid, Sub-Zero, Thermador, Traulsen, True, Viking, Whirlpool, and Wolf. 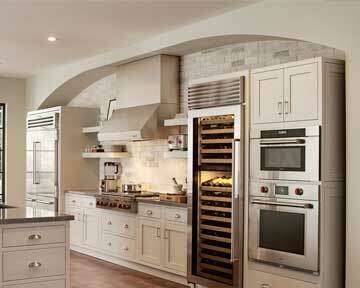 We specialize in high-end kitchen equipment and European kitchen equipment. Our company does both residential appliance repair and commercial appliance repair appliances owners. If you have a commercial kitchen, restaurant, cafeteria or catering business we can help you too. No project is too big or too small for us. Besides in-depth knowledge and experience, we offer outstanding customer service. Same day appointments are available. Also, ask us about our free and accurate estimates. Our company can save you time by getting all the details over the phone and giving you an exact plan of action. We can preorder parts and show up at your door totally ready to tackle any problem. Our goal is to make appliance repair experience as convenient as possible. Major home appliance repair service starts when you call us or fill out this short contact form. Once you do this, we will get back to you right away and gather all the information needed to for a free and accurate estimate. Then our licensed technician will be dispatch to your home. Our technicians carry all essential tools and equipment with them. They also bring with them the majority of parts needed for a job. So, usually, we do not need to order parts for you. But if it is something unexpected, we will be more than happy to order the parts and to make sure they come as soon as possible. Our technician will determine what the problem is and find the fastest and best way to solve it. Whether you have a broken refrigerator, washer, dryer, dishwasher, barbecue grill, patio heater or anything else we will be able to fix it for you. We replace parts, do cleaning and troubleshooting of the whole system. Your appliance gets a new lease on life. Finally, the project is done. Our technician will plug everything back in and do a safety check to make sure everything is functioning. He will clean up after himself and turn perfectly working appliance back to you. He will also give you useful tips on how to maintain your appliance. We want you to enjoy your home appliances for as long as possible without any more brakes. So, we do everything in our power to achieve this. Our service area includes East Bay, Marin County, Oakland, and Novato as well as surrounding areas. 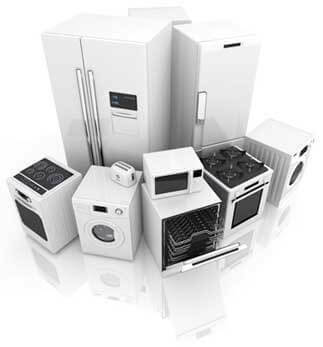 Why choose us to do major home appliance repair for you? We are the most qualified company to do major home appliance repair for you. With a 30 plus year history and certifications from most of the major appliance brands, we have the skills and knowledge needed. If you have an expensive appliance, you want to it to be fixed by experienced professional like us. We use only genuine parts, and we closely follow manufacturer’s guidelines to achieve the best result possible. But if needed, we can think outside the box as well. Besides our skills, we also offer outstanding customer service. Our company tries to make your major home appliance repair experience as easy and as fast as possible. Our technicians are friendly and helpful people. They will help you get your essential appliances working promptly. Also, our prices are fair and reasonable. Check out our discounts on the home page of this website. For all your major home appliance repair in Oakland and major home appliance repair in East Bay call us at 925-265-7782. For your major home appliance repair in Novato and major home appliance repair in Marin County, please call us 628-214-0064. Or you can fill out our short contact form. We are here to answer any of your questions and make an appointment for you right away. We Are Professional Major Home Appliance Repair Company with More than 30 Years of Experience in the filed. We do refrigerator repair, washer repair, dryer repair, dishwasher repair, stove and range repair, oven repair, steam oven repair, microwave repair, freezer repair, ice maker repair, barbecue repair, pizza oven repair, patio heater repair and many other appliance repair services.